Very good. This book comes with red reminder mark on the edge. New unread shelfworn book, may have some minor creases or tears in the dust jacket. Fast shipping form our UK warehouse in eco-friendly packaging. Fast, efficient and friendly customer service. Please note that this item is being sent from United Kingdom, allow 4-14 days for delivery. All the orders are shipped same or next working day. Fast and friendly customer service. Fine. This book comes with red reminder mark on the edge. New, unread, slightly shelfworn book. Fast shipping form our UK warehouse in eco-friendly packaging. Fast, efficient and friendly customer service. Please note that this item is being sent from United Kingdom, allow 4-14 days for delivery. All the orders are shipped same or next working day. Fast and friendly customer service. New. 2013. Paperback. 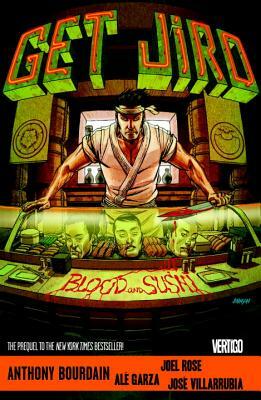 In a not-too-distant future of food obsessed LA, where master chefs rule the town like crime lords and people literally kill for a seat at the best restaurant, Jiro, a renegade and ruthless sushi chef, arrives in town with strong ideas of his own. Num Pages: 160 pages, Illustrations. BIC Classification: FX. Category: (G) General (US: Trade). Dimension: 257 x 168 x 7. Weight in Grams: 342......We ship daily from our Bookshop. Foss, Langdon. New. Trade paperback (US). Glued binding. 160 p. Contains: Illustrations, color.